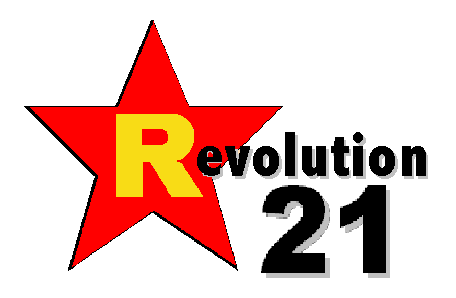 Revolution 21's Blog for the People: They like us! They really like us! Well, I think that Afghanistan venture is going rather swimmingly, don't you? 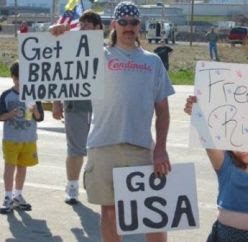 The news is so encouraging, and the happy natives seem so grateful for our benevolent presence. What? Uh . . . I suppose you can believe the following report from MSNBC if you like -- and that horrid, horrid video from the "mainstream, lamestream media," but I am obligated to caution you against such anti-American behavior. WHY WOULD any patriot believe this kind of communistic agitprop, which we absotively must refudiate at every turn? Six U.S. service members have been killed in Afghanistan, bringing the toll for July to at least 66 and making it the deadliest month for American forces in the near-nine-year war. A NATO statement Friday said three troops died in two separate blasts in southern Afghanistan Thursday. The statement gave no nationalities, but U.S. officials said all three were Americans. The officials spoke on condition of anonymity pending notification of kin. Another statement issued later Friday said three more had died, one following an insurgent attack and twin a roadside bombing in southern Afghanistan. U.S. and NATO commanders had warned that casualties would rise as the international military force ramps up the war against the Taliban, especially in their southern strongholds in Helmand and Kandahar provinces. President Barack Obama ordered 30,000 reinforcements to Afghanistan last December in a bid to turn back a resurgent Taliban. The six deaths raised the U.S. death toll for the month to at least 66, according to an Associated Press count. June had been the deadliest month for the U.S. with 60 deaths. There have been 264 U.S. service members killed in combat and noncombat situations so far this year in Afghanistan, Pakistan and Uzbekistan, according to the AP. DON'T YOU believe all this talk about dead American soldiers -- they're resting. Or maybe they're stunned. That easily could happen, as wild as those Afghan parties get. Just like the one above, which the lamestream media wants you to believe was a riot.